DEERFIELD BEACH, Fla.–(BUSINESS WIRE)–Established in 1981 with only two associates, World Omni Financial Corp.
which was just accomplished during 2016.
finance and lease automobiles and equipment for fleet operators. associates on July 18, 1991. St. Louis, Mo. to service accounts for third-party clients. 2003, the same year World Omni funded its 1 millionth contract. 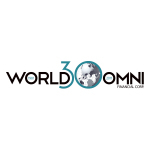 World Omni funded its 2 millionth contract during 2011. DataScan acquired Launch Technologies and Field-Logic during 2013.
is the beneficiary of funds in Alpharetta, Ga.
100 Best Companies to Work For®, its 18th consecutive year on the list.